Naperville Exteriors, Inc. has been enhancing the lives of customers throughout the Greater Chicago Metropolitan Area with the best quality roofing products and workmanship for over two decades. Our talented roofing contractors have the requisite mechanical ability and the kind of integrity we demand of our employees, and we train them in the techniques and procedures of our company and our trade. Customers are aware that our roofing contractors are both courteous and respectful of them and their property. Moreover, we strive to do all we can to guarantee that your roof repair or roof replacement is a positive experience. We deliver the kind of roofing services and unmatched workmanship that all of our customers are seeking. Also, we deeplyvalue our customers’ homes and businesses, which is the reason New Lenox homeowners and business owners bring their roofing projects to our attention. As one of only six certified GAF TruSlate installers in Illinois, Naperville Exteriors, Inc. has the most natural looking roofing shingles that are available in wide variety of colors, widths and thicknesses. It is no wonder that New Lenox residents consider us as their best choice for roofing! New Lenox, Illinois is located in Will County. There are more than 30,000 residents living in New Lenox. New Lenox residents are like all other homeowners and business owners in that they are interested in improving the appearance of their homes and businesses and protecting them from harmful and severe weather conditions. If you recognize that you are going to need roof repair or roof replacement services for your home or office, it’s time to contact the professional roofing contractors at Naperville Exteriors, Inc. We will send a highly skilled technician to your New Lenox home or office to determine the necessary roof repairs or roof replacement while also considering your budget! We are always looking for opportunities to help our New Lenox neighbors by enhancing the appearance of their homes with our roofing products. We deliver the most affordably-priced roof repair and roof installation that will protect your home and provide you with improved energy efficiency. New Lenox customers know they can always depend upon Naperville Exteriors, Inc. to use inexpensive solutions to solve their roofing problems. Homeowners and business owners realize how important it is to hire the most responsible and dependable roofing contractors who will help them keep costs down while offering customers the highest quality roofing services. Regardless if it is for minor roof repair or for a more extensive roof replacement, Naperville Exteriors, Inc. can help! Remember – immediate attention to a leaking roof makes it easier to prevent future roofing expenses. Preventing roofing damage is the best response! 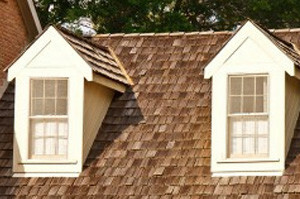 Our company has the background and expertise to provide roofing assistance for reasonable rates. With our outstanding reputation of providing roofing services and roof repairs at rock bottom prices, customers can always count on us for all their roofing needs. For your FREE estimate, call Naperville Exteriors, Inc., today, at: (630) 254-4831.